135mm Ecose Insulation Hi guys just to let you know payment has been made and we are ever so grateful that you could squeeze us in before the babies arrival. My wife and i concur there is a significant difference in temperature in the house. 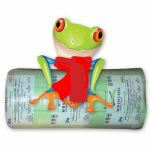 We are so happy with the choice as we have heard of the insulation in Europe when we worked there. 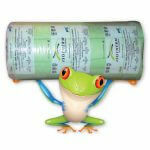 135mm Ecose Insulation My wife and i would like to thank you for the great job your team did last week at our home. We have noticed a significant improvement in the home and true to your word we can hardly hear the buses early in the morning. The insulation has made a significant difference thank you so much. Will be in touch shortly for our holiday home as soon as we get through the rainy season. 135mm Ecose Insulation Peter once again you guys have blown us away. My client was very impressed with the service received as well as the product. Thank you so much and keep up the good work. 135mm Ecose Insulation I would like to thank your team for the work done today. My word we were blown away. The team including the supervisor were absolutely great. Installed in a jiffy and we can feel the difference already. Wish we had thought about this years ago. 135mm Aerolite Insulation Trish I would like to thank you for all your help and patience with us. As pensioners people often take advantage we must thank you for going far beyond what we ever expected. Great service and great advice. Hope to see you for tea soon as promised. 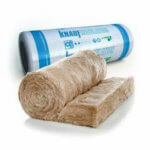 135mm Knauf Insulation (Ecose) We must thank your company for the outstanding service. We have been blown away by the level of service received from both teams that were at our factory. The noise levels have dropped substantially this is such a blessing. Oh and the bonus, the ladies hinted at how much warmer it has been since we installed the insulation for sound pollution. Does insulation make the factory cooler in summer as well. Great job in a busy area of our factory. 135mm Aerolite Insulation Installed. Thanks, guys another great job. I can’t believe how much of a difference the insulation has made we were so much more comfortable last night and to crown it my hubby forgot to get wood. Lol, a real test and a great result. This roof insulation is so different to the old itchy stuff. 135mm Knauf Insulation (Ecose) Many thanks to Peter for all the effort and help today. It has been fantastic to eventually get our home insulated we have been trying for years. The effort by your team is much appreciated we never thought we could get it done such a small crawl space. The home is a good few degrees warmer. Once again thank you so much. 135 Knauf Insulation (Ecose) Many thanks to Dave and the team today they were absolutely fantastic. Once again thank you all for the great service. What a difference in the home so much warmer. Isotherm 145mm Hi Peter. Many thanks for your professional installation today. 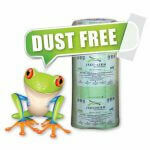 Peter, thanks again for the excellent service with the insulation, the house is really nice. I’ve given my sister in-law your details; she may or may not have called you. Isotherm 145mm Hi Peter, thanks for the prompt and friendly service today. 145mm Isotherm Insulation Isotherm has definitely made a difference. The winter temperature inside never dropped below 10°C at night with no heating. If I used the wood burning fireplace (7 kW Franco Belge) within in an hour the temperature goes up to 18°C or 20°C from 12°C or 14°C. We are now approaching summer, yesterday was 33°C outside and inside was 24°C. The house is definitely warmer and cooler. The installation was efficiently done, on time and in the time frame stated. "145mm Isotherm Installed". Hi Peter. 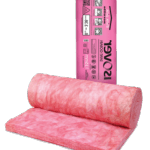 The temperature in the house is much improved with this insulation installed in our home! Many thanks. 145mm Isotherm Insulation Thank you so much for fitting us in today with our emergency. Your service has been a breathe of fresh air. The Isotherm Insulation has made a big difference. Thank you and all the best. Good service and happy with installation quality. Much Cooler home. Best regards. Job well done. I could notice a difference in the house yesterday afternoon when I got home. Come on winter we are ready for you. 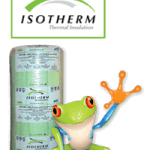 145mm Isotherm Insulation Please thank Peter and his team for the wonderful service. Our home was left clean and tidy. We expected a all day operation but three hours later all done. 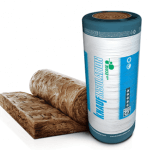 Wonderful Insulation product and we can feel the difference already. 145mm Isotherm Insulation I was in the roof the other day and I must say the installation is very neat. Well done! It also makes a huge difference in the temperature of the house.